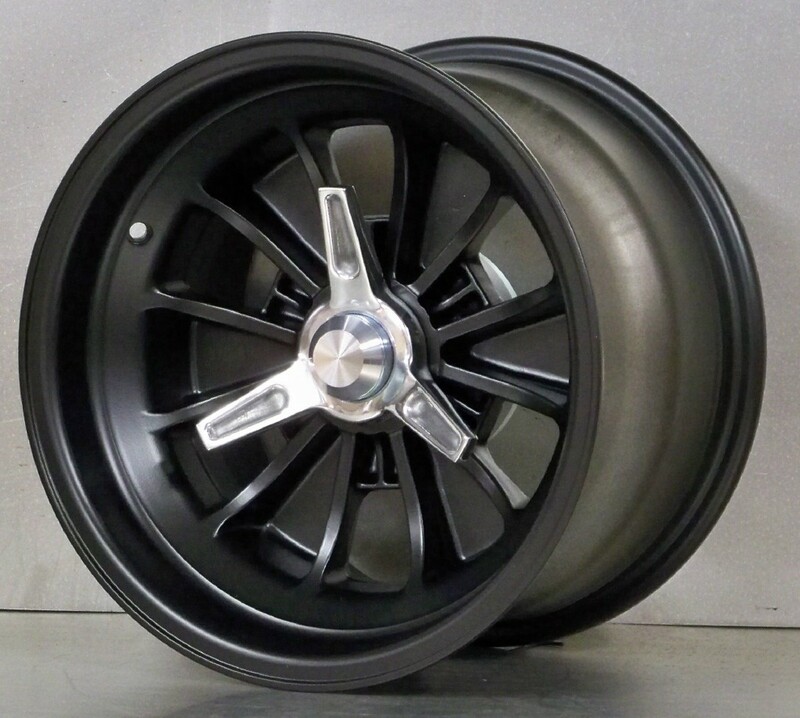 Details: FIA 15 x 7.5 15 x 9.5 set with adapter spinner kit SATIN BLACK. 2 x FIA 15 x 7.5 backspace 3.7. 2 x FIA 15 x 9.5 backspace 3.7. 4 x AD01 adapters double drilled Ford 5 on 4 1/2 and Chev 5 on 4 3/4. Other bolt patterns available for additional cost. 4 x EC01 adapter end caps. 4 x TR01 flat tri wing spinners. Please specify wheel stud thread below. Please call 1888 339 7572 for more information.